Ayushmann Khurrana, Sanya Malhotra, Neena Gupta and everyone associated with Badhaai Ho would have already begun celebrating. The film has taken a very good start of 7.29 crore and that too when the film was actually released on a Thursday. While this was a regular day at some parts of the country, at others there was also Dussehra holiday. However, there was also a pinch felt due to strike of theatres in MP which means ultimately the overall benefit would have been just around 50-75 lakhs. What matters is that the film has exceeded expectations. In the best case scenario one expected an opening day of around 6-7 crore and here the film has gone past even that number. 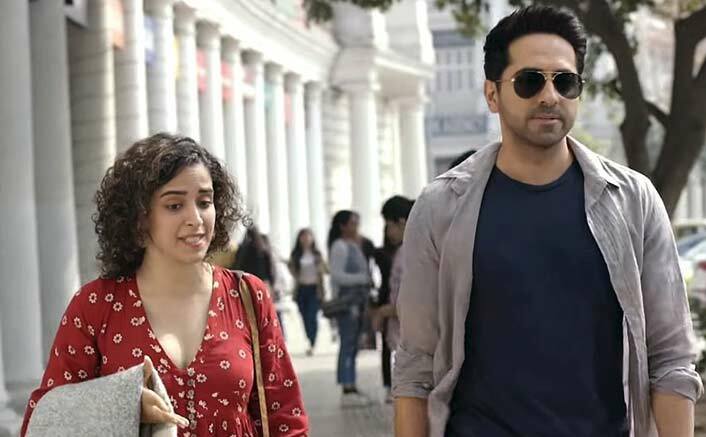 For Ayushmann Khurranna, this is his biggest opener ever now and it is amazing to see how outsiders like him and (earlier) Rajkummar Rai (Stree) as well as Kartik Aryan (Sonu Ke Titu Ki Sweety) are notching up very impressive numbers on their opening day. These are the actors who are now turning out to be stars with these films and it would be interesting to see how their next set of films open. Here’s Why Kareena Kapoor Khan Feels Doing Veere Di Wedding Was A Right Decision! Meanwhile, the film is set to have a good run since the real weekend is still ahead of it. It would be further helped by the fact that the critical acclaim as well as audience word of mouth is there and when that happens, there is no stopping a film. It would be very interesting to see how big does the film turn out now since the Hit status is a given. The post Box Office Collections: Badhaai Ho Brings On Celebrations On Day 1 Itself, Collects Very Well appeared first on Koimoi. 102 Not Out Box Office Collections Day 9: Collects In The Similar Range As Day 1!